OK, so maybe the 'presents' your dog brings you aren't always welcome (especially the ones he leaves under trees), but at least your dog can look like Father Christmas with ths adorable Santa Coat. Sleek, durable and furry, this fashionable accessory is available in Extra Small, Small, Medium and Large. 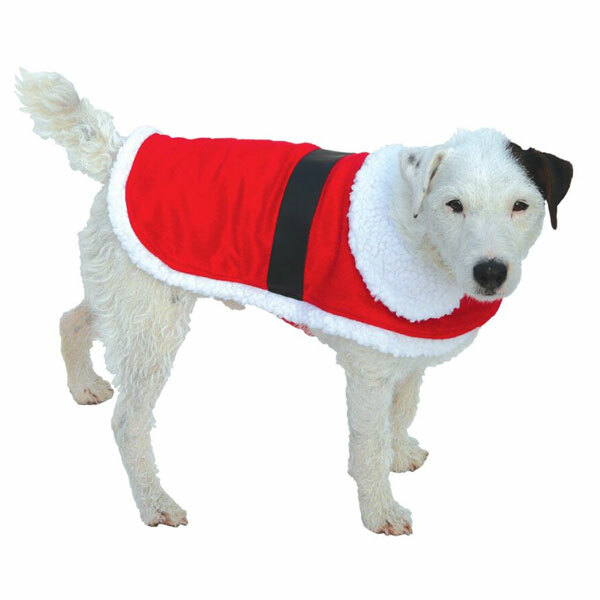 There are currently no questions for Good Boy Christmas Santa Coat for Dogs - be the first to ask one!